We love when we get to reconnect with our alumni. 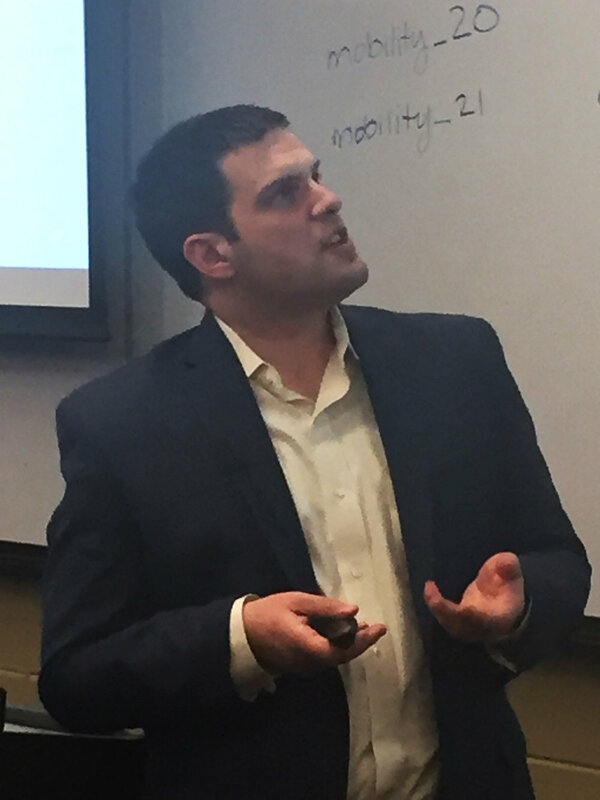 Dr. Amitai Bin-nun, PhD Physics from University of Pennsylvania and SISE 2012 alumni, returned to UIC on April 6 to speak in the LAS 496 Sustainable Mobility class, a new course spearheaded by SISE 2011 alumni Bryan Tillman! Dr. Amitai Bin-Nun listens takes questions during LAS 496. Amitai speaks at the NHTSA Automated Vehicle Operational Guidance Public Meeting. Amitai fights for grizzly bear rights in his spare time.